Today’s hearing aids are smaller, more discreet and more powerful than ever. New technology even adapts to the listener’s environment automatically and the most advanced hearing aids are worn for months at a time. 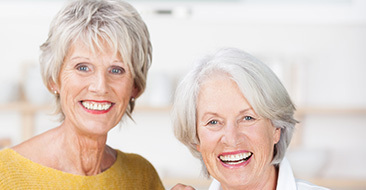 Cary Audiology Associates stays up-to-date with the latest advances in technology and helps you select the right hearing aid style and features for your needs. Hearing aids can be worn behind the ear, in the ear or even completely in the ear canal. Your hearing needs, vision and dexterity, as well as budget and lifestyle are all factors that determine the best style for you. We offer all styles, and some even have rechargeable batteries. Behind-the-ear styles may be worn with or without an earmold. The body of the hearing aid is worn behind the ear and a receiver tube or earmold is worn in the ear. These devices are suitable for individuals with mild-to-profound hearing loss. In-the-ear hearing aids may be full or half shell and are worn in the outer portion of the ear. They are easily worn by people with limited dexterity and mild-to-severe hearing loss. In-the-canal hearing aids are either completely invisible or nearly invisible. They are worn in the ear canal and are for mild-to-moderate hearing loss. Lyric by Phonak revolutionizes hearing products. The first totally invisible and disposable hearing aid ever. Once inserted by your Audiologist, it stays in place for months at a time for a truly hassle-free listening experience. Keep your hearing aids in top condition with regular, deep cleanings by the professionals at Cary Audiology Associates. Our equipment cleans where you can’t reach to keep sounds clear and crisp. Stop in at least twice a year for cleaning. 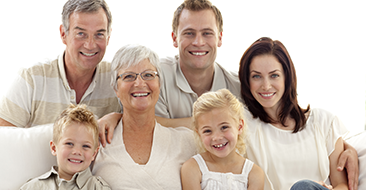 Living with hearing loss can present challenges for you and your family. Wearing hearing aids is a start to the adjustment process. 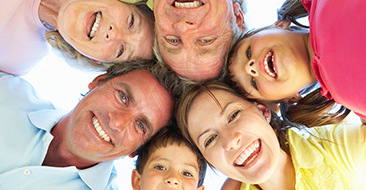 Attend group aural rehabilitation classes and bring a family member or friend to support you during the transition. Use LACE at home to enhance your ability to communicate. This interactive, computerized aural rehabilitation program trains your brain to improve your listening skills. Feel like you’ve been deluged with information and still swimming in a sea of confusion? Our concise answers to questions people most commonly ask about buying and wearing hearing aids will help you chart your course to better hearing.